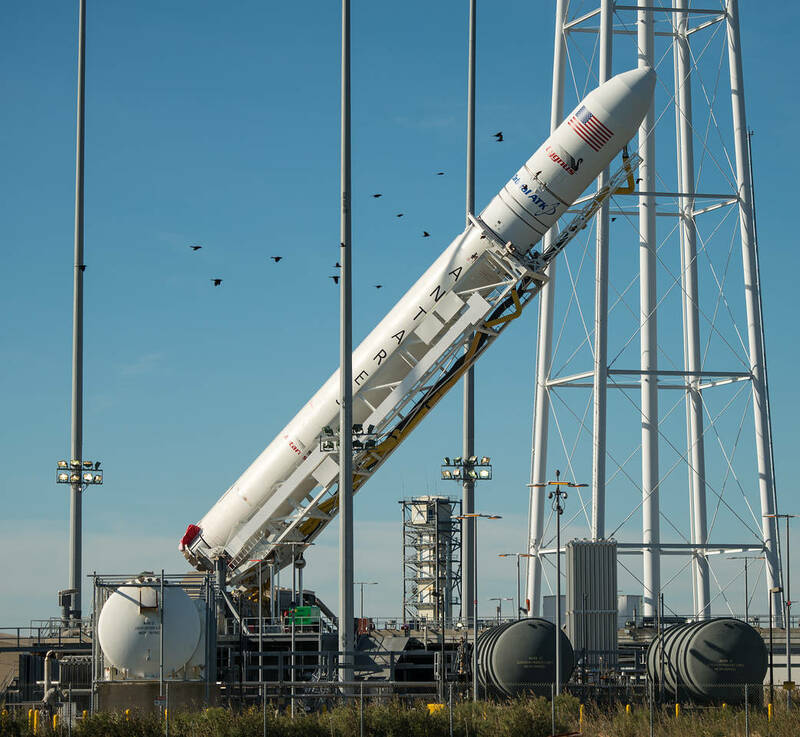 The Orbital ATK Antares rocket, with the Cygnus spacecraft onboard, is raised into the vertical position on launch Pad-0A, Friday, Oct. 14, 2016, at NASA’s Wallops Flight Facility in Virginia. 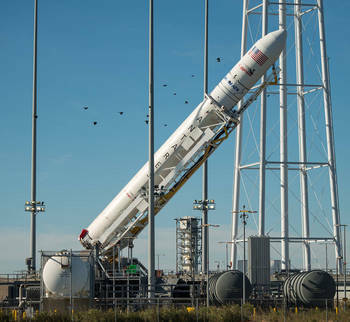 Orbital ATK’s sixth contracted cargo resupply mission with NASA to the International Space Station will deliver over 5,100 pounds of science and research, crew supplies and vehicle hardware to the orbital laboratory and its crew. The International Space Station-bound Antares is currently scheduled for launch no earlier than Sunday, Oct. 16, at 8:03 p.m. EDT. New science experiments launching to the station include investigations on fire in space, the effect of lighting on sleep and daily rhythms, collection of health-related data, and a new way to measure neutrons.